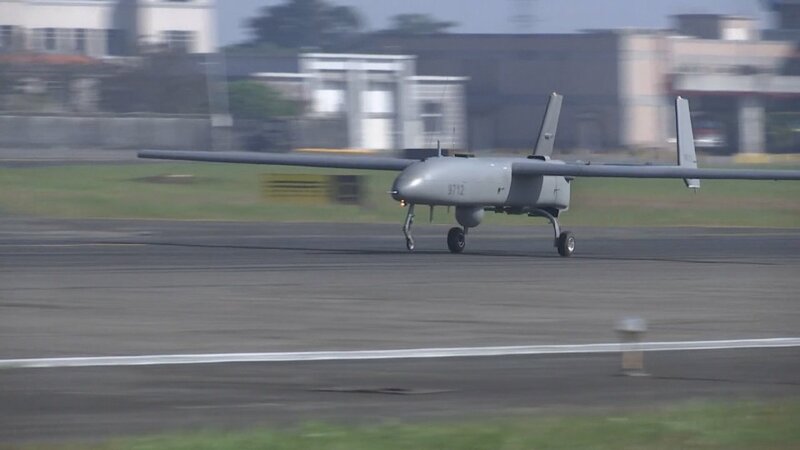 Taiwan’s navy publicly showcased its Albatross drone take off for the first time on Thursday. This comes as the defense ministry holds exercises as the Chinese New Year holiday approaches. This drone was created by National Chung-shan Institute of Science and Technology. The navy began using the Albatross in September 2017. The drone can conduct surveillance and reconnaissance work day and night. Taiwan’s defense ministry is stepping up military exercises as Chinese New Year approaches. Naval officer Liu Shih-chang said there are three levels of certificates for drone operators. The drone offers a third perspective. It’s not easy to be an Albatross drone operator. You need to be a qualified air plane pilot. Operators also need to pass a virtual monitor test, which is much like a video game. Naval officer Hsien Min Tsang said they will evaluate a person’s personal and professional qualifications and their skills in handling the drone. They also need to pass a test in the simulator. They need to pass all these tests before they operate the drone. The Albatross drone can take off from warships and do real time reconnaissance from the front lines.